Academician Veniamin Pavlovich Chebotaev (1938-1992) is an outstanding physicist, the first director of the Institute of laser physics of the Siberian branch of the Russian academy of sciences. His works in the field of quantum electronics and laser physics have gained the wide international recognition. V.P.Chebotaev created a famous world school in the field of spectroscopy of the ultrahigh resolution and quantum metrology. 10 doctors and more than 30 candidates of sciences are among his disciples. Generation of narrow resonances, one of his researches, resulted in the advent of a radically new avenue of the nonlinear laser spectroscopy and allowed resolution of spectral methods to be significantly raised. On this basis, frequency-stable lasers have been created under supervision of V.P.Chebotaev; the first optical standard of time that was based on the use of frequency period of a stable laser has been designed. V.P.Chebotaev is the author who developed new types of tunable lasers and spectrometers for infra-red and ultra-violet spectral ranges, and who performed high-precision experiments that observed quantum and relativistic effects in optics. V.P.Chebotaev suggested many original ideas in quantum electronics. The majority of them were implemented under his guide and they got all-round theoretical and experimental investigation. A large cycle of works has been completed on the theory of resonant interactions of optical fields with gas. The role of effects of levels population density and coherent effects within strong fields of laser radiation has been found out. Interesting results in the sphere of atomic collisions have been obtained: elastic scattering cross-sections have been measured in low-pressure gas by laser spectroscopy methods. Coherent radiation has been shown experimentally in spaced optical fields, which lays the groundwork for atomic optics interferometry, a new trend in physics. The scope of scientific interests of V.P.Chebotaev is amazing, from problems of detecting gravitational waves to the use of lasers in medicine. Under his direction, optical techniques to register small shifts using highly stable lasers have been developed, which provided a basis for development of optical gauges to detect gravitational waves. He foretold the formation of crystal structures of ions when cooling ions in a trap. Observations are made about a possibility to create gamma-laser with the use of HCS on nuclear transitions. This is only partial list of works that have been completed by V.P.Chebotaev with his collaborators. During the last period of his life, V.P.Chebotaev worked on problems of nonlinear spectroscopy of femtosecond impulses: their solution opens up new avenues for physical and applied research in the field of superfast processes. He has suggested a new type of laser that he called stabilitron, with the noise below quantum level, where advantages are taken of bistable properties of a resonant nonlinear absorbant. Veniamin Pavlovich performed great scientific-and-organizational work. He participated in organizing committees of all All-Union conferences on nonlinear and coherent optics, the Vavilov conferences, and of many international conferences. 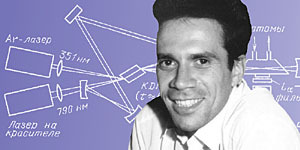 He participated in RAS Scientific councils on problems "Coherent and nonlinear optics", "Spectroscopy of atoms and molecules", and the Commission on quantum electronics of the International union of theoretical and applied physics; he was a member of editorial boards of "Applied Physics", "Metrologia", and "Quantum electronics" magazines. 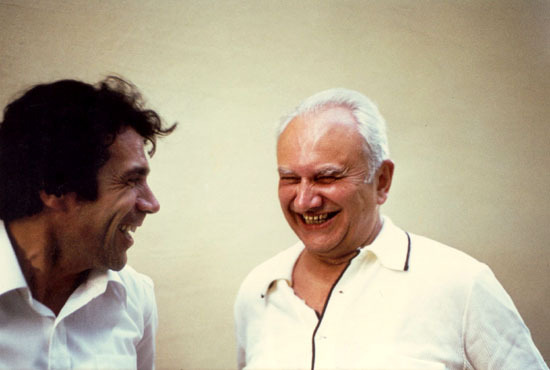 In 1978, V.P.Chebotaev has been awarded with the Lenin premium for his cycle of works on nonlinear narrow resonances in optics. In 1984, the American optical society granted Ch.H.Towns premium to V.P.Chebotaev for his pioneer research and for his contribution in the field of laser metrology, ultrahigh resolution spectroscopy, and highly stable laser sources. V.P.Chebotaev has been awarded with the Labour Red Banner Order for his merits in the development of physical science and in the preparation of scientific personnel. * Source: Bagayev S.N. ZHizn', otdannaya naukye / Bagayev S.N., Baklanov YE.V. // Nauka v Sibiri. - 1998. - N 31/32. - S.3. Dokumyent izmyenyen: Wed Feb 27 14:46:28 2019. Razmyer: 10,692 bytes.